The school will receive renovations next year. Humphries will move to a new location for one year. We will move to the closed Campbell Elementary School. The location is off Jonesboro at 21 Thirkeld Ave SW, Atlanta, GA 30315. The location is the closest vacant site near our school. All students will be transported on buses. Make sure you have provided address and phone information to ensure your student is routed on the bus. I have provided a snapshot of information below. Students in grades 3 – 5 will take the Georgia Milestones State Assessment starting May 1, 2019. Students must arrive each day by 8:00 AM. If students arrive after the test begins, they will miss that section for the day. Please make sure your student gets a good night’s rest by going to bed by 8:30 PM the night before each testing day. Let them know the seriousness of doing well. Our annual field day will be May 17, 2019. Field day t-shirts will be on sale starting Monday, April 15 - May 1. The shirts will be $7. Look for the flyer to come home soon. Stay tuned for information about the spring promotions and honor’s day programs. 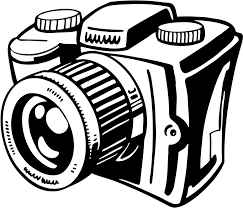 Picture Day for Humphries Elementary School will be held April 23, 2019. Please remember to turn in your forms to your student's teacher.